Well, this is a fun way to start a Friday and the start of the weekend. 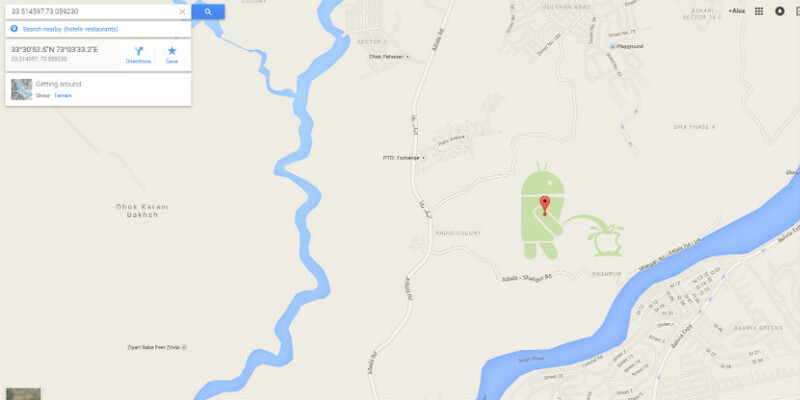 It looks like the Google Android Mascot (Andy) has shown up on Google Maps urinating on the Apple logo. 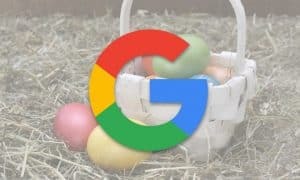 Mashable reports that Google has made an official statement pretty much denying any responsibility instead saying it was likely a user who placed the image there. No matter what side of the smartphone OS war you are on, this has to make you chuckle. Mostly because someone managed to slip this through Google’s security fingers. To the person who did this I salute you! You’ve brought a smile to my face on this Friday morning and who doesn’t need a great big grin every once in awhile!? What do you think of this Google Maps snafu? Let us know in the comments below or on Google+, Facebook and Twitter.